There is much discussion among artisans when it comes to improving the cutting behavior of tools quickly and permanently but the debate is settled here where expert engineers and master craftsmen prove the benefits of sharpening blades and tools using methods based on time-tested Japanese water stone grinding techniques. Learn through detailed instructions how to get perfect edges on your chisels planes axes and hatchets woodcarving and woodturning tools drill bits and handsaws in a tool-conserving andin the best sense of the wordâ€”sustainable way using stones files and specially designed machines. Manual sharpening has the added advantage that only as much material as absolutely necessary is taken off the steel. 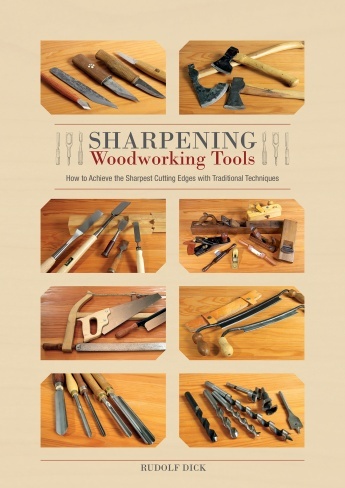 Founded on a scientific understanding of steel types and sharpening means and filled with valuable tips this guide is a standard-setting volume and the ideal companion on the path to acquiring sharper and better edges on all your hand tools.